Perfect for any occasion with a party of 60 or more. This is a show that will keep you entertained and laughing until the very end. The most powerful word in Jace's arsenal is "SLEEP." Get ready to see your family and friends do hilarious and outrageous things! Being able to hypnotize someone is an art form and Jace not only makes it look easy but fun and entertaining. 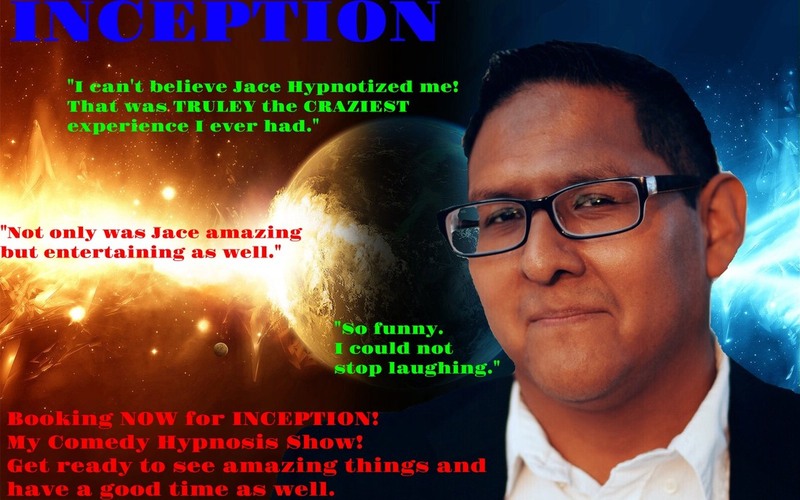 When it comes to hypnosis Jace is able to take his participants to another world and keeps his audience in stitches. ​Below there are several files to download for information on different types of shows. 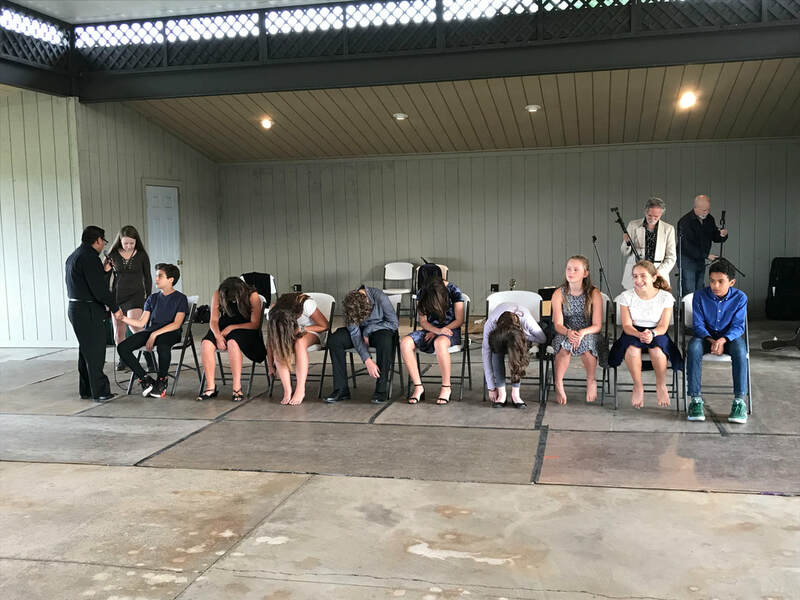 There is information on a graduation hypnosis show for high school seniors, my special for fairs and festivals as well my standard hypnosis show which is good for all types of events. There is also an adult 18+ show! For inquiries and pricing please contact immediately. These shows are not to be missed! It’s unbelievable how Jace was able to hypnotize me, that was truly the most craziest day I have ever had! Planning an event can take its toll especially with so many options for entertainment. Jace specializes in making that job a little easier by doing everything he can to make sure your guests are entertained, amazed and have a good time. Strolling magic is ideal for cocktail hours, private parties, graduations, VIP suits and anytime you have a group of people mingling together at your event. Image the fun and excitement your guests will have as they witness world class close up magic right in front of their very eyes! As a master of sleight of hand magic with cards, coins, borrowed objects and more Jace is very versatile and has magic for any type of situation. It is because of my experiences and versatility that Jace understands how to entertain any group! ​Below is a PDF for WEDDINGS. The PDF explains the benefits of having magic at your wedding and how Jace can help you enhance your special day to make it memorable. Everything Jace performed was amazing, but his special wedding set is what really pulled everything together. I was so touched by it that I teared up. He really captured the whole story of us. For events held at venues for Corporate events or Restaurants, you will receive mind blowing mentalism effects, impossible card illusions and souvenirs for your guests. These formal shows are best suited for a small group of 10 people or a whole reserved private room full of people. 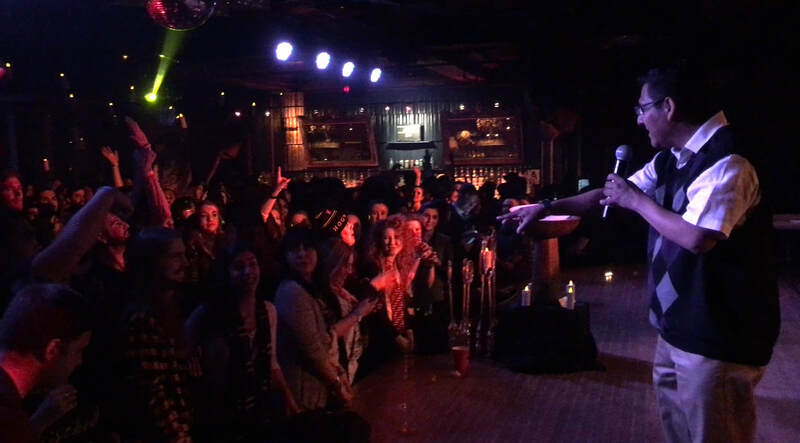 Jace brings the power of a stage show to your living room or venue, performing illusions right in front of them. Your guests will be amazed by the impossibilities that happen right under their nose. If you are looking for an elegant, humorous and engaging night of wonder then contact Jace today! Your guests will be blown away and in shock and awe in how Jace makes the impossible seem real. For pricing info please contact immediately! I was blown away. The tricks he was performing I had no clue how he did them, and trust me I scrutinized every trick.